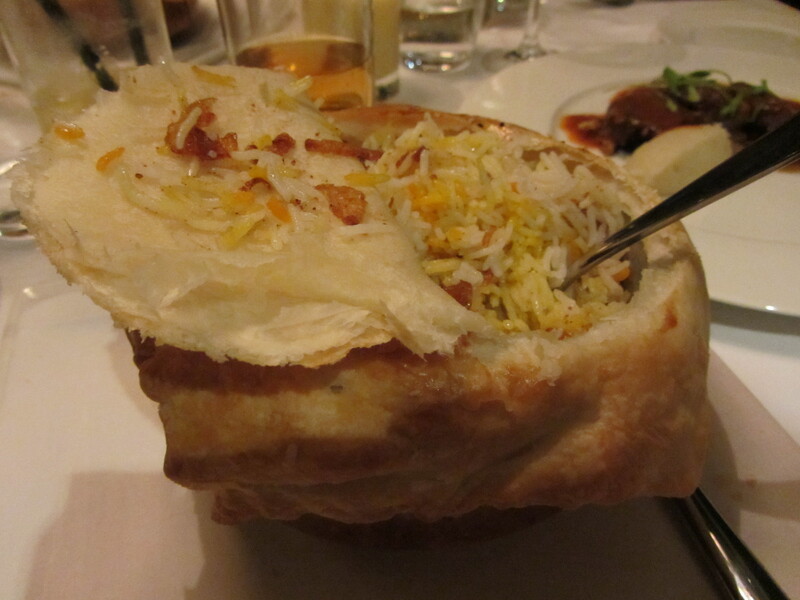 It’s national curry week, what better way then to add an Indian restaurant post today. 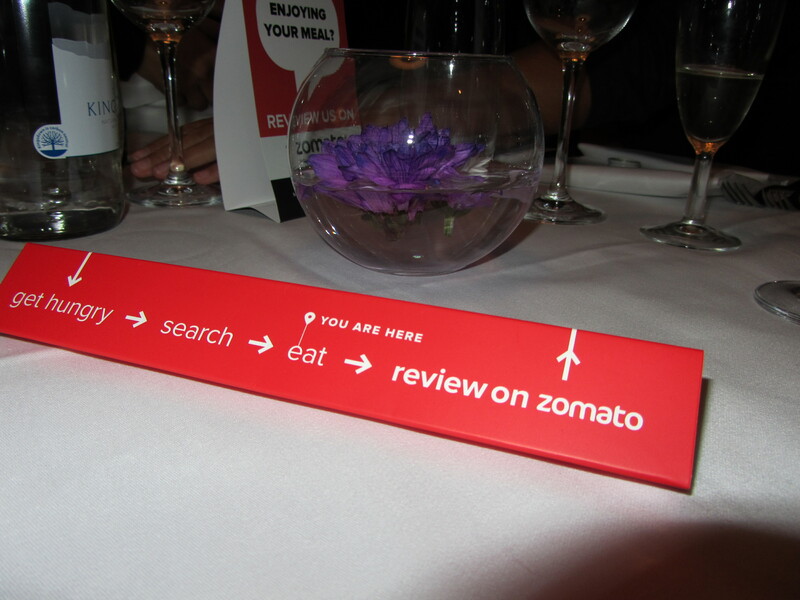 Last month I was invited along to Zomato London foodie meet up, the chosen venue was Dockmaster’s house. No stranger to me, my friend took me here over 10 years ago and living in docklands most of my life I knew the area very well. If your interested in learning the history of the docks come and check out the Museum of London which is FREE entry! 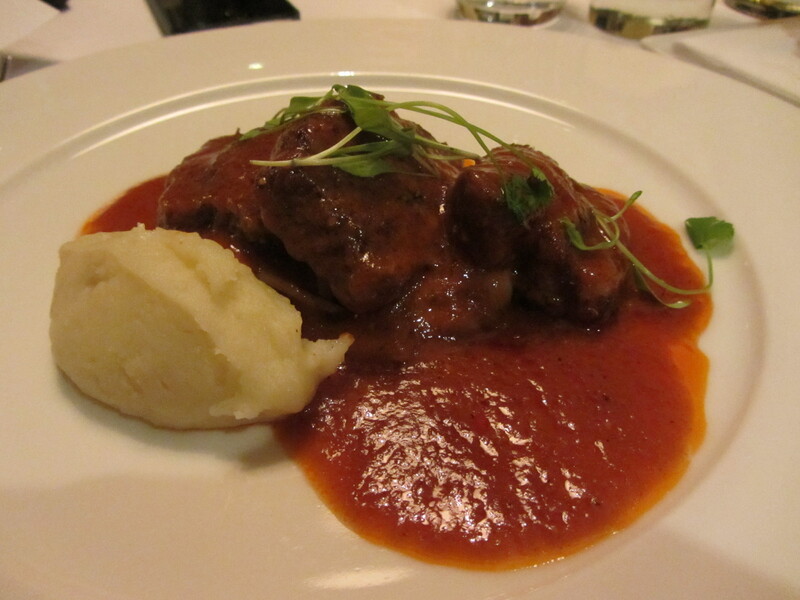 Dockmaster’s house is not a restaurant where it’s noticeable unless you knew of the place. Hidden behind West India quays cinema and around the corner from weatherspoons. It is nested in a dazzling 3 story Georgian building, I felt like a VIP just strolling inside the sophisticated, impeccable clean marble floors, greeted by the smiley staff. Following the shiny marble floor I was led to the spacious private conservatory, the Zomato dinner party started with wine and bubbles. 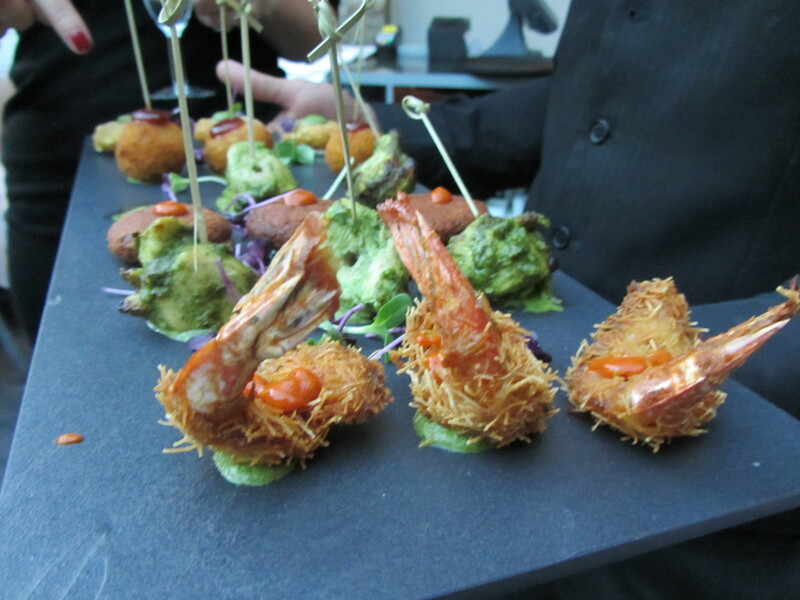 Once most of the guest arrived the impressively beautiful canapes were served, seating with two people hailed from India. 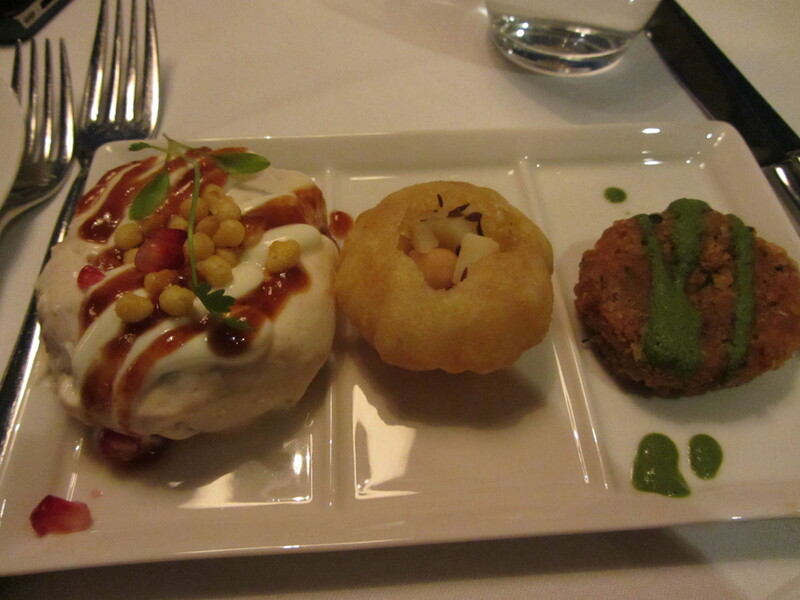 I was in good company to learn more about Indian food and the hometown of the chef. 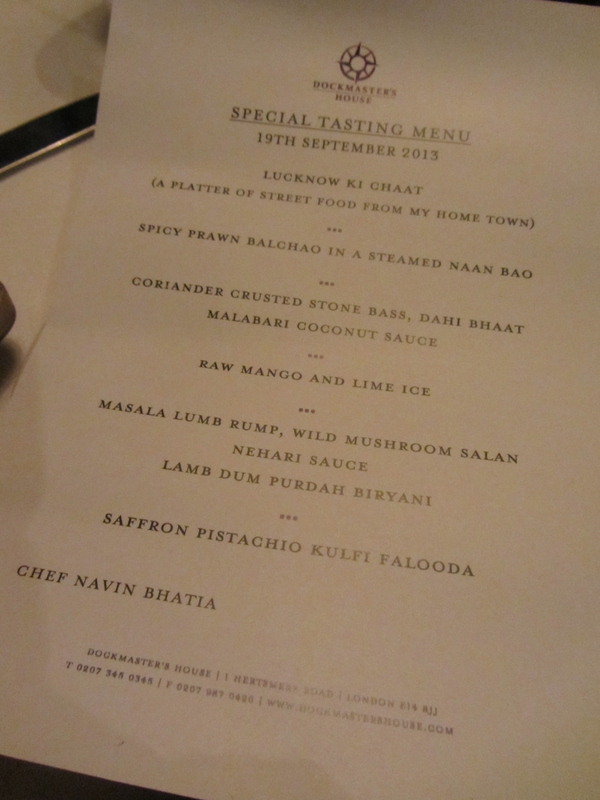 We were served a special menu from Chef Navin Bhatia, the first course was Lucknow Ki Chaat. I was taken on a journey of street food from Lucknow, starting with the spiciest to the one that cool down my tongue. 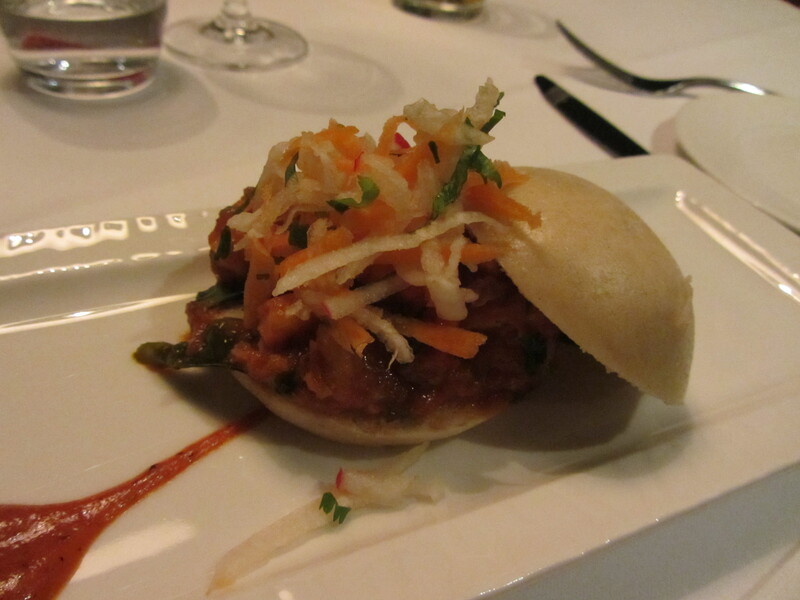 Very clever, bao is a popular Chinese dish, in dim sum parlours. I was very impressed with his version; spicy prawns smothered with a crunchy slaw had a kick and tang. The filling, overflowed in between the soft bouncy baos. The bao tasted very similar to the Chinese one, I have pleaded them to start a nao bao street cart I think it be a big hit. Third course was “coriander crusted stone base, dahi bhaat” the green chilli, fully covered in golden brown batter hit the spicy notes. 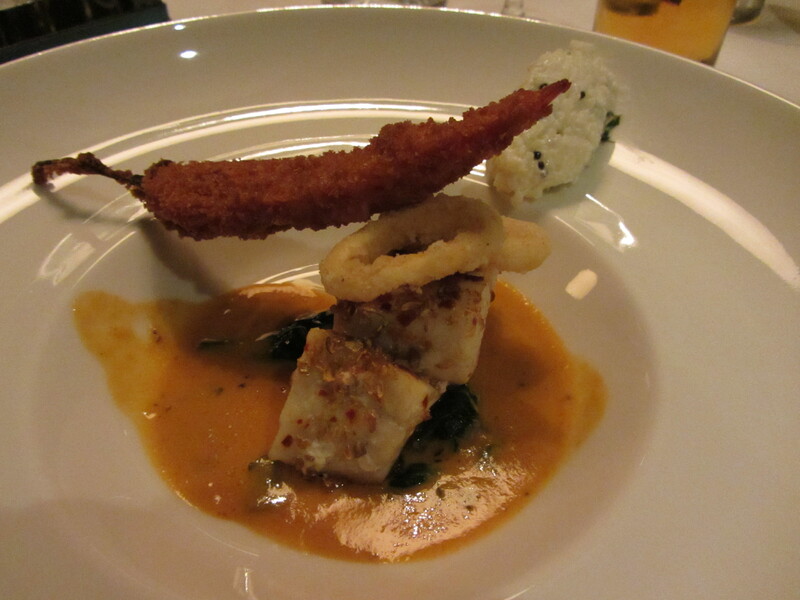 The sea bass, silky smooth complemented the rich creamy coconut sauce. The pile of rice on the side brought out another dimension to the dish, to balance the heat. Ok by now, my tongue was suffering and had to order a mango lassi to cool my tongue. 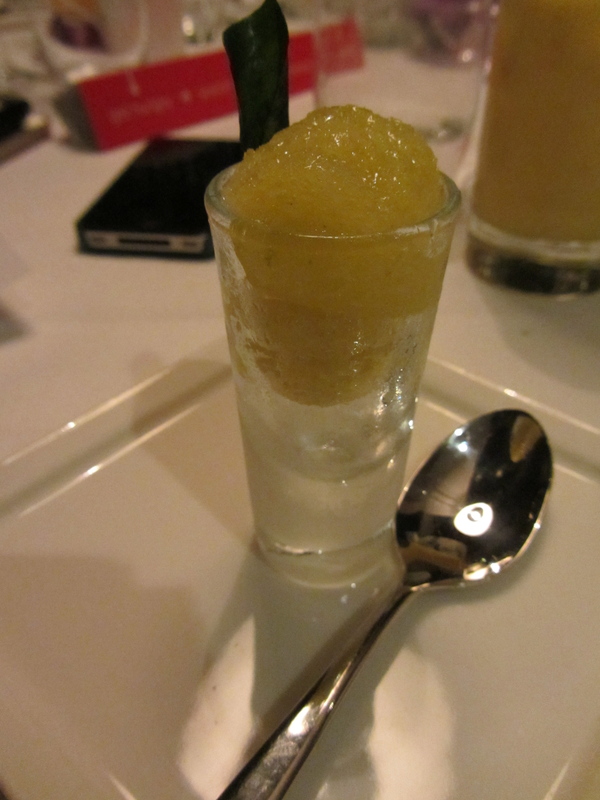 The forth course was the palette cleanser, the raw mango and lime violated my nose from the strong rotten egg scent. The sulphur kala namak in this dessert brings out the distinctive scent. My companions on the table loved this dish so much. Mango and lime are one of the greatest food pairings. The icy cold tropical sweet mango and lime left a sweet and sharp citrus taste. Surprisingly, it did the job and thankfully the rotten egg breath soon vanished in my mouth. The fifth dish was the wonderful Masala lamb rump, wild mushroom salan, nehari sauce, and lamb dum purdah biryani. 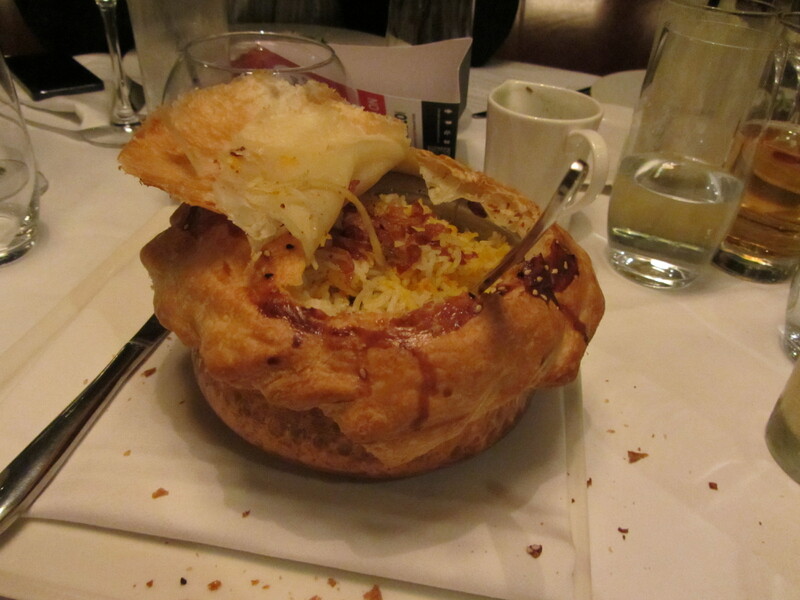 The biryani was served inside a stuffed flaky puff pastry; we were told this was how it is traditionally served in parts India. 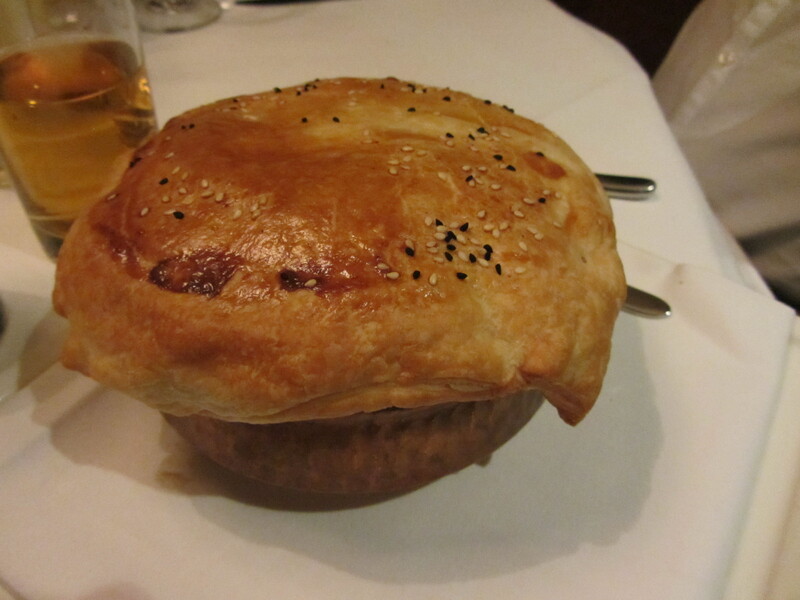 The puff pastry helps cook and intensify the flavour. The rice was certainly delicious full of flavour from the many spices, peaking through. The lambs develop a deep flavour from the rice and spices. It was, so good the other diners and I took home a doggy bag of the stuff. The masala lamb rump was executed well; deep rich spice flavours the lamb stood well against the bold spices. 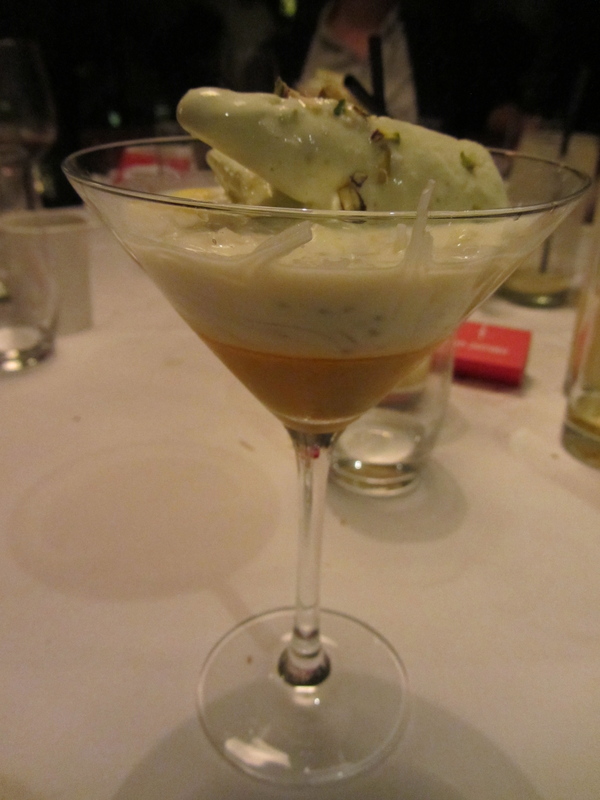 Lastly it was dessert time, Saffron pistachio kulfi falooda, a bit of a mouthful to read out loud. 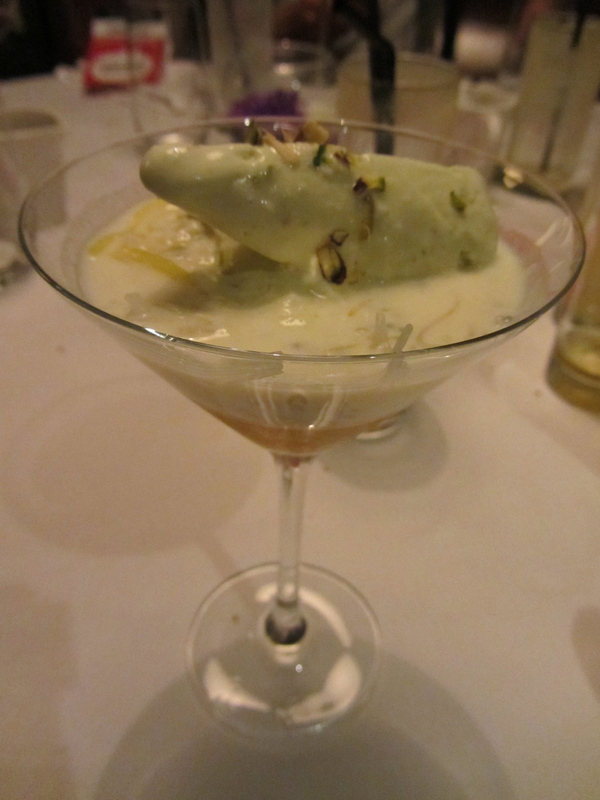 Came in a martini glass, lying at the bottom was the luminous yellow jelly, layered with get this vermicelli noodles coconut cream and kulfi. Kulfi is an Indian ice cream, the super rich and creamy nutty sweetness paired well with the jelly, and the vermicelli noodles were, a delight to eat. The vermicelli helped soak up the overpowering sweetness, and I enjoyed this dish a lot. So there you have it, the special tasting menu at Dockmaster’s house wowed me over from the time I went 10 years ago. When I went ten years ago the food wasn’t very memorable but this time they really stepped it up. I look forward to coming here again for the enchanting breathing taking atmosphere and Indian fine dining.